Fully Filipino-owned Lamoiyan Corporation has more reasons to smile as it continues to bring world-class quality yet affordable products that never fail to earn the peoples’ trust and loyalty, especially now that the company is in its 25thyear of existence. In perfect time with its Silver anniversary this year, the company now has more than 30,000 fans in leading social network site Facebook, and still continuously growing – a feat that only proves the unstoppable patronage it gains from the local market. Apart from its world-class quality that is comparable to other more expensive brands, what’s also keeping consumers loyal to Hapee toothpaste is its reasonable price. According to Michelle Talaboc, while prices of some commodities continue to go up, it’s good to know that Lamoiyan remains affordable, especially for those who have less in life. This, in turn, gives her a reason to smile amid life’s challenges. For practical mothers who want only the best for their family, toothpaste is indeed the right choice for them. Belinda Maravilla, who considers herself so meticulous in choosing every product she buys, shares that it’s only that her family is very satisfied with given the kind of dental care it provides and yet friendly to the budget. The self-confessed frugal Merly Onayan, on the other hand, cites that she, who values the hard-earnings of her husband, won’t settle for something expensive if there’s an alternative that can also give the best result in oral hygiene. Because Rho-anne Repre considers the brand as the “Hapee ness ng pamilya ko, Hapee ness pa ng bulsa ko!” she indeed gives the consuming public a convincing statement that they need not have to spend more just to have a beautiful smile. 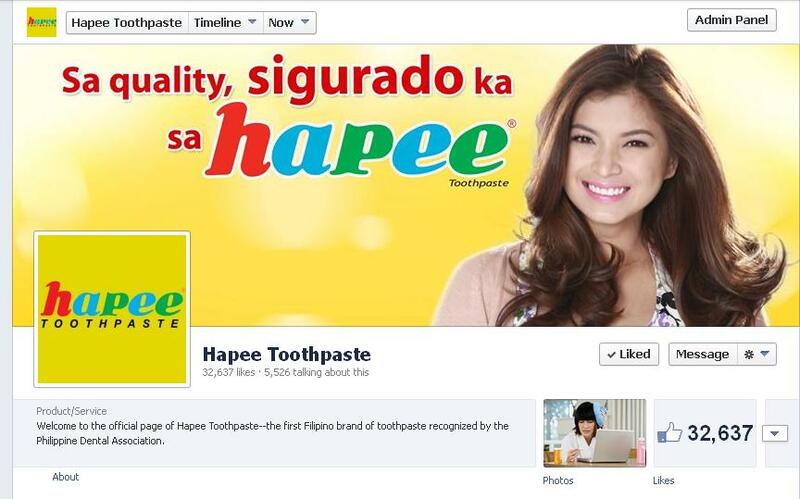 Seeing the company’s humble beginnings, Cristina Lim stresses that Hapee toothpaste truly reflects the very distinct Filipino quality that is “masikap” or “diligent,” which can be at par with the best in the world. Proud of the company and its founder’s success, Ria Tacderas Bahri, meanwhile, says that it is but proper to love and patronize a brand made by a Filipino for the Filipino. What’s more, Lamoiyan sets a good example as a firm that offers equal employment opportunities for hearing-impaired individuals which, for Ace Mendoza, only shows that it truly cares for the people.